Installation: For requesting an installation/demo for this product once delivered, Contact_us on:  and provide the product's model name. 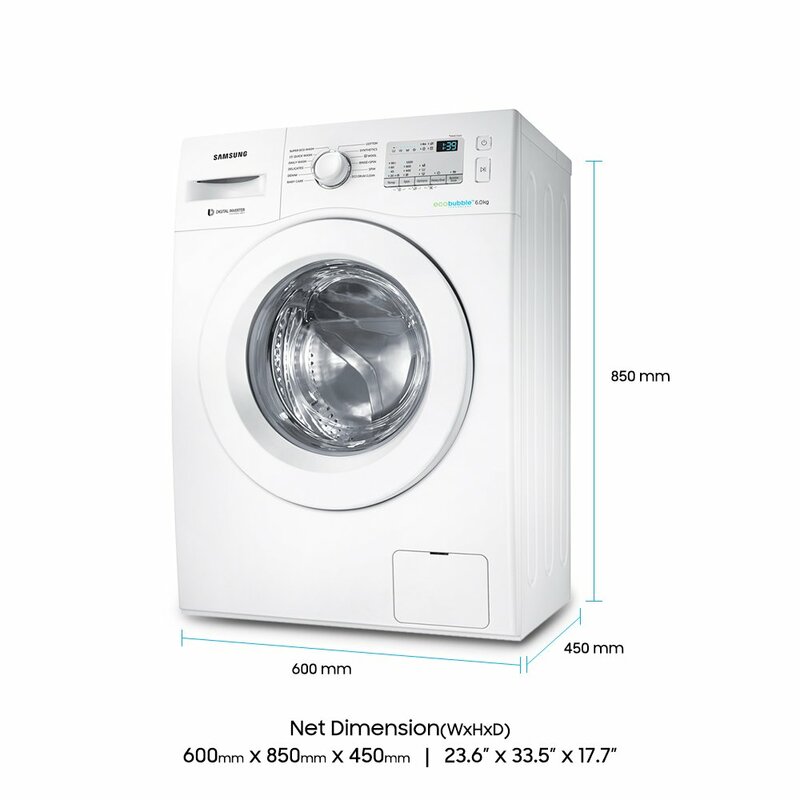 Samsung washing machine comes with a digital inverter motor delivers superior energy efficiency, minimal noise and exceptionally long-lasting performance, so it's certified to work for 20 years – backed-up by a 10 year warranty. Gentle fabric care the diamond drum's unique soft curl design with smooth, diamond-shaped ridges is supremely gentle on your clothes. Its small water exit holes also help protect fabric by preventing clothes from becoming trapped. 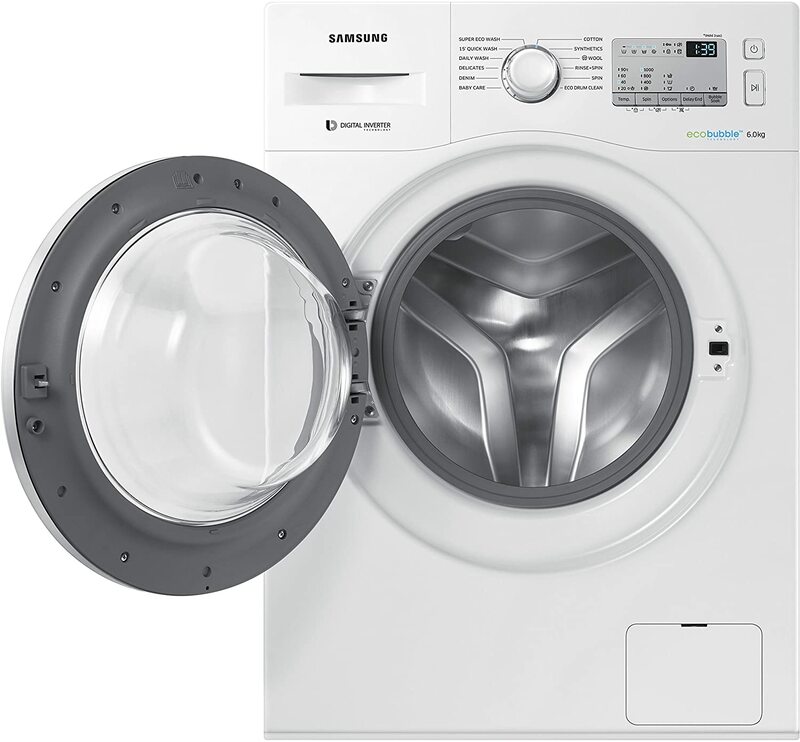 With the simple touch of a button the Samsung washing machine’s bubble soak technology helps remove a wide variety of normally stubborn stains. 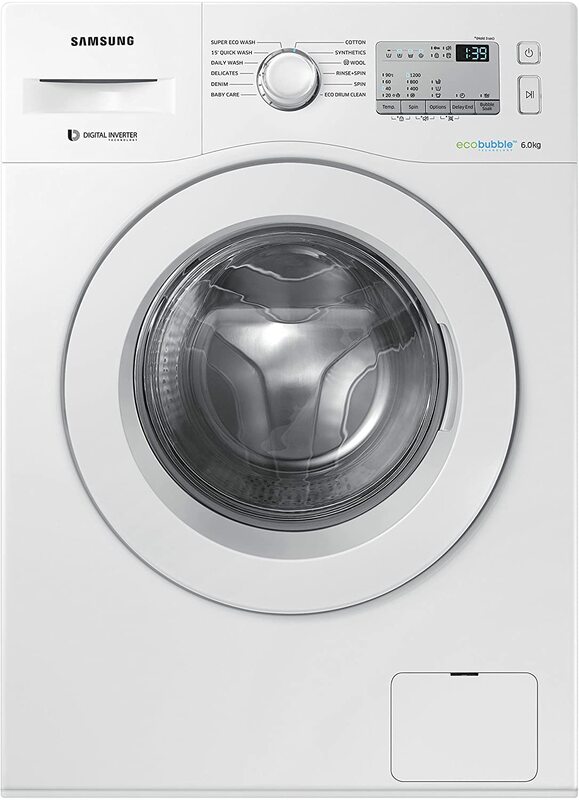 It adds an extra phase to a normal washing cycle in which clothes are thoroughly soaked in active bubbles, so any dirt and stains are loosened and can be removed much more effectively. Before the normal cycle begins, the unique bubble generator starts working. It helps dissolve and activate the detergent using air and water to generate bubbles that penetrate faster and more evenly throughout the wash load. This brings the detergent into contact with each fiber in the load.